CANADA will apply to join the China-backed Asian Infrastructure Investment Bank, Ottawa’s finance department said yesterday, in a coup for Beijing after Washington had tried to dissuade US allies from signing up. “Canada is always looking for ways to create hope and opportunity for our middle class as well as for people around the world,” Finance Minister Bill Morneau said in a statement issued in Beijing. “Membership in the AIIB is an opportunity to do just that,” he said. The Beijing-headquartered multilateral lender, which began operations earlier this year, has been seen by some as a rival to the World Bank and the Philippines-based Asian Development Bank, which was founded in 1966. The US$100 billion AIIB counts several major European countries among its shareholders after they joined up despite the objections of the United States. The United States remains by far the world’s largest economy and hosts both the World Bank and International Monetary Fund. The US and Japan — the world’s third-largest economy — have notably declined to join the AIIB. China “does not regard itself as the big boss” in the lender, he added, and its shareholding would “definitely be diluted” as more members joined, which could ultimately lead to Beijing losing the de facto veto power it holds over some of its decisions. In a speech, Morneau suggested Canada was seeking to strike a balance between the US, its close ally and neighbor, and the growing Asian giant. China is Canada’s second-largest trading partner after the United States, with exchanges topping C$85 billion (US$66.5 billion) last year. “We have important relationships with the world’s most powerful nations and have developed a capacity for mutual accommodation and governance,” Morneau said yesterday in Beijing. Canada’s announcement came during Prime Minister Justin Trudeau’s visit to China, where he met Premier Li Keqiang to try to strengthen ties before the G20 summit this weekend in Hangzhou. 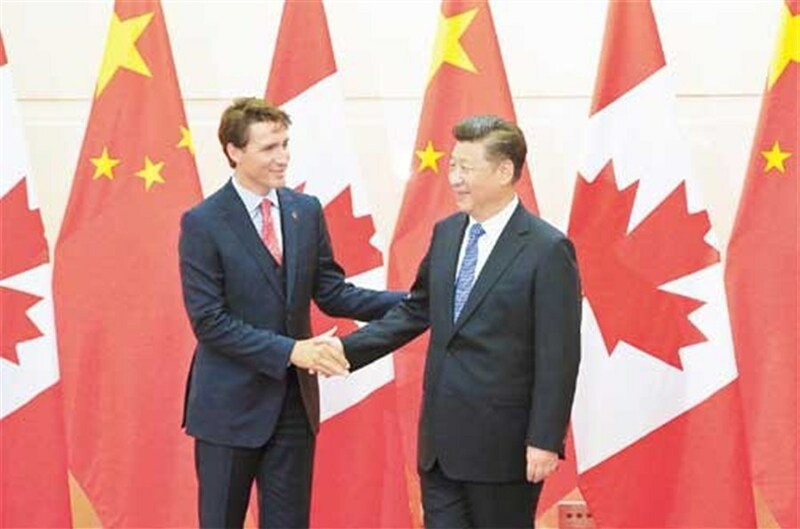 Trudeau yesterday hailed a new era in relations with China during his first official visit to a key trading partner, saying he aims to boost “stability and regularity” in their ties. Trudeau and Li agreed to annual meetings and the eventual establishment of a mechanism to discuss national security and rule of law. Trudeau said they will work together to discuss issues of common concern, including climate change, judicial training, gender equality and empowerment of women and children. Trudeau and Li also announced an agreement to extend a September 1 deadline that China had imposed on Canada to tighten its screening of canola exports, which could have led to major losses for Canadian farmers.